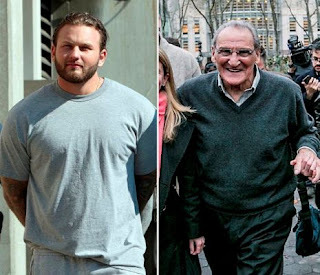 Bonanno mobster Vincent Asaro and John J. Gotti, grandson and namesake of the late Gambino crime family boss, pleaded guilty yesterday in Brooklyn federal court to charges related to the aftermath of a road rage incident. Asaro and Gotti were indicted for torching a car that belonged to a man who had the temerity to drive in front of Asaro at a traffic light in New York City traffic. Asaro was acquitted in 2015 of charges that he masterminded the notorious $6 million Lufthansa heist in 1978. Asaro, Gotti and a third man indicted in the case will not be sentenced until Oct. 24. 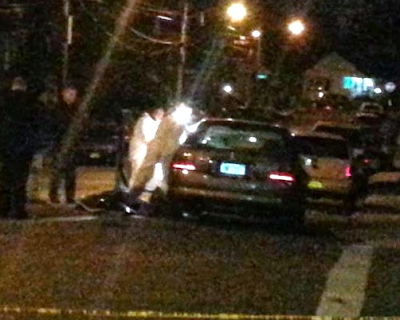 The shooting of Enzo (The Baker) Stagno of Whitestone, Queens, was always one of the more bizarre twists in the ongoing story of the gangland-style killing of Luchese associate Michael Meldish. Now, we finally seem to have enough information to piece this big puzzle together. 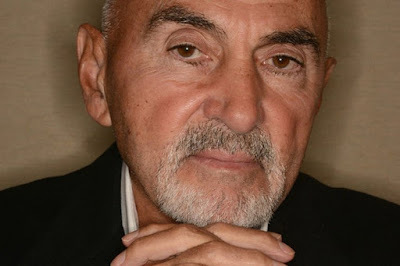 We also know more about why Bonanno boss Michael (Nose) Mancuso was initially named as a suspect in the Meldish murder. The Stagno attempted hit occurred on May 29, 2013, at around 6 p.m., as he was seated in his 2009 GMC Yukon, parked at East 111th Street and First Avenue. Stagno was chatting on his cellphone when he suddenly heard BANG! The window beside him shattered and a bullet punched into his chest, grazing him. Stagno felt a “pinch” and dived into the backseat -- when the next shot was fired. A New York federal appeals court ruled last Thursday that the 40-year sentence imposed on Gregory Scarpa Jr. in 1999 will be reinstated. The Second Circuit Court of Appeals ruled that the lower court judge "had overstepped his authority by shaving 10 years off the sentence," as the New York Times reported. Scarpa, while imprisoned, helped the government find leftover explosives from the Oklahoma City bombing. “My father went through twenty damn years of aggravation, my mother’s a nervous wreck, my brothers and sisters are all wrecks. Where is all this honor and this baloney? You can’t believe in this damn oath when you’ve got a family to think of. What about them? My mother’s been alone for seventeen years. So which is the more honorable stand? My father’s position is: This is how I’ve lived all my life, and I don’t want anybody to ever say that I was a rat or a snitch, so I’m gonna die this way. O.K. I guess I can relate to that. But I’m in a different position. I’m thirtysomething years old. I’ve got six children, I’ve got a young wife. And I’ll be damned if I’m gonna put them through what my family had to go through. Especially for something I no longer believe in." 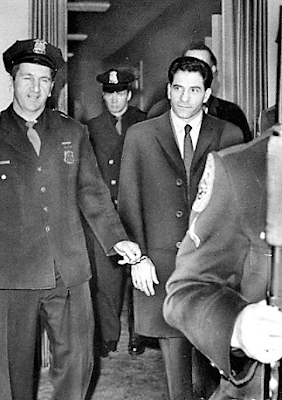 John (Sonny) Franzese was convicted of masterminding bank robberies back in the 1960s. Many have long believed Franzese was framed. Gangland legend/longtime Colombo wiseguy John (Sonny) Franzese — who set the record for being the oldest inmate in the federal prison system — was released Friday from a Massachusetts lockup. He's shockingly frail looking but then he turned 100 this past February (we wonder if President Trump sent him the birthday card) and just finished an eight-year bid. Guys facing less time than that have flipped -- nevermind emptying your pockets at 93 years of age. He served his sentence at the Federal Medical Center in Devens, Mass. for shaking down the Hustler and Penthouse strip clubs in Manhattan. Comparing politicians to Mafia members is rote enough to be a cliche, but seldom have I seen it so well done. It's no wonder then that the writer in question here is New Yorker editor/consummate journalist David Remnick. A decade ago, an impetuous real estate mogul was compelled to answer a series of questions under oath, a result of his own legal maneuverings. He had filed a libel lawsuit against a writer for authoring a biography of the mogul. And the wealthy developer who's been part of Manhattan's landscape longer than I have been alive is of course today's President of the United States. The book he filed the lawsuit over was TrumpNation. Trump lost the case in 2011 -- free speech and all makes winning frivolous libel suits rather cumbersome -- but the deposition remains -- a relic of a dead legal case. Contained within it is an acknowledgment that, in more than 30 instances, Tump lied extensively and proficiently on a range of issues. A reputed Genovese crime family member from Staten Island who was among the 46 alleged wiseguys arrested and charged with racketeering and other crimes in last August's "big bust," has pleaded guilty to a reduced charge of running an illegal gambling business. Alex Conigliaro, 56, was accused of attempting to extort a man who allegedly put him in the hole for nearly a half-million dollars in February 2012. 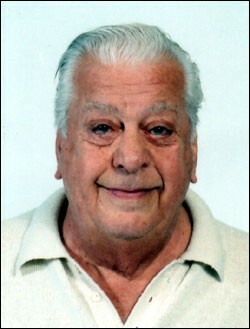 The man, a bookmaker, had accounts with codefendant John (Tugboat) Tognino, who allegedly worked for Conigliaro. Conigliaro suspected the bookmaker had allowed professional bettors to place wages, which put Conigliaro on the hook for nearly half a million -- the amount he owed the winning bettors, the Feds alleged. The bookmaker was summoned to a Bronx restaurant (Pasquale’s Rigoletto? 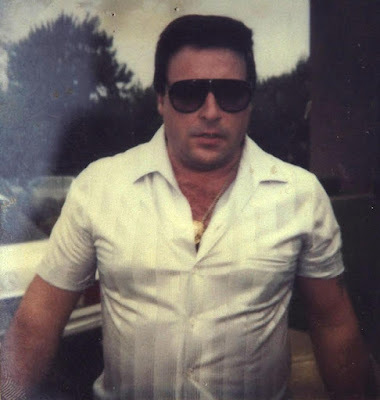 ), where Conigliaro, a capo, and another alleged mobster confronted him in the basement and threatened him. The following was released last month by the Queens District Attorney's Office. 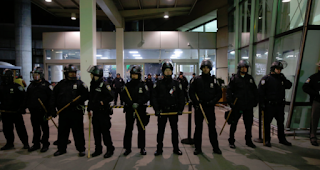 It highlights numerous mob-related investigations, including one that resulted in the arrest of more than 80 who'd robbed around $14 million in property from facilities in and around JFK Airport. Auto theft also is highlighted in the form of, among other things, the bust of Gambino mobsters operating a scrap metal enterprise in Willets Point. A federal appeals court dismissed a defamation lawsuit last Monday filed by a convicted murderer serving life in prison. The lawsuit, over the book The Quiet Don, about the late Cosa Nostra boss Russell Bufalino, had caused the defendant depression, and supposedly made other inmates target him for violence. In its order, the 3rd U.S. Circuit Court of Appeals said Louis Coviello, the convict who filed the lawsuit, had failed to pay the fee on time to have his case heard. Coviello was challenging a lower court ruling that had thrown out the $1 million defamation suit against the book's author and publishers: The Berkley Publishing Group and the Penguin Group. I will toast Salvatore (Sammy Meatballs) Aparo this weekend, probably tonight. 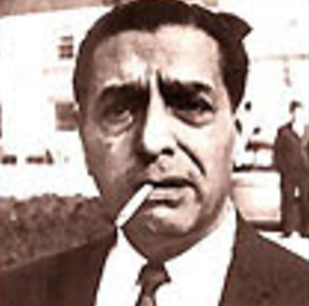 The 87-year-old Genovese mobster died last month, as per this week's Gang Land News. 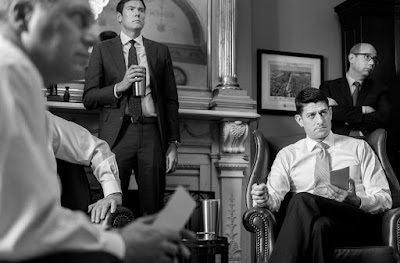 The ghastly countenance, I believe, captures the moral absurdity of Mafia life -- the contradictions, the subterfuge, the muscled toughness, and gift of gab, the subtle absurd menace..... I glimpse it all in that enigmatic visage, its heavily lidded eyeballs swallowed by liverish sacks, the full, fleshy Boris Karloffian, thickly lined face. But it's that smile, that hideously genuine smile that faintly illuminates the eyes, as if the cop with the camera had shouted "Say cheese!!" 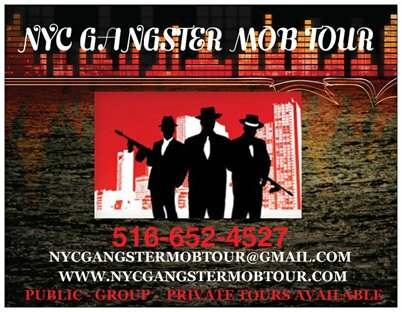 In May, the Sunday New York Times ran a special section profile about a largely unknown Boston gangster with ties to a legendary Cosa Nostra boss. Reporter Dan Barry's lengthy piece detailed the story of Ralph DeMasi, an aging New England mobster who specialized in robbing armored trucks. DeMasi was known as a dedicated family man for whom crime was a 9-to-5 job, with the odd late night occasionally thrown in. 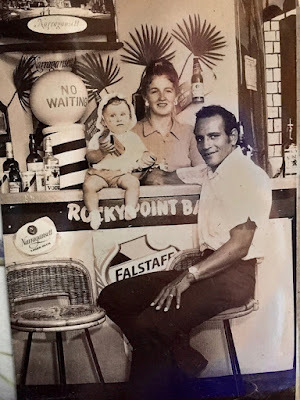 "The police routinely watched him drive off in the morning to lay the groundwork for a planned robbery, then return home in the evening, leaving the carousing to others." Ralph Natale, former Philadelphia mob boss turned government witness, offered to help the Fed's once again, only this time he wants to do more than testify. Natale wants to fight terrorists. At least that is what the 82-year-old said on Fox News Insider. Natale appeared on the show to hawk his book, Last Don Standing, this past weekend. During his appearance, he informed host Eric Shawn that "we're pussycats on terrorism" and that he, Natale,"would kill them all." Neil G. Clark is the author of Dock Boss: Eddie McGrath and the West Side Waterfront; the real-life story of the preeminent racketeer on Manhattan's lucrative waterfront and the bloodshed that long haunted the ports of New York City. The book is available now at all major retailers. And Neil is getting some strong kudos, too, for Dock Boss -- including from TJ ENGLISH! 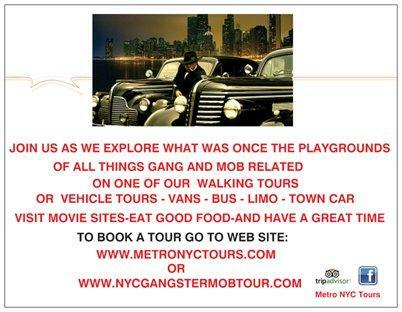 In addition to Scott Deitche, who has written quite a few books about the Mafia, including Cigar City Mafia: A Complete History of the Tampa Underworld, and The Silent Don: The World of Santo Trafficante Jr., and our old friend Dennis Griffin, who wrote Andrew DiDonato's book on life as a Gambino associate under Little Nicky Corozzo, Surviving the Mob: A Street Soldier's Life Inside the Gambino Crime Family, a must-read for anyone interested in the New York Mafia in the 1990s, a period of incredible violence. 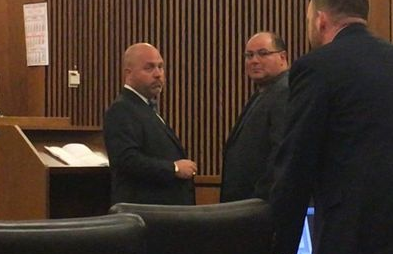 Carmine "The Bull" Agnello accepted a plea deal on June 1 to avoid prison time, but he must pay the $180,000 tab for the investigation by law enforcement. It was called originally enough "Operation Goodfella." 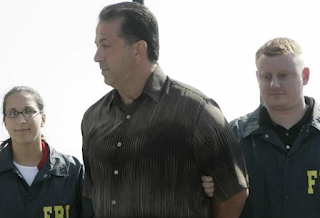 Agnello, a former member of the Gambino crime family, was arrested nearly two years ago during a raid of his Cleveland auto body shop. He faced more than a dozen charges, including racketeering and conspiracy. He was charged with running an illegal $4.2 million car-scrapping scheme. The murder rate in the U.S. has fallen dramatically in the past 25 years -- the FBI pegged the decline from 1993 to 2015 at 50% while the Bureau of Justice Statistics reported a 77% drop. Still, the glut of daily television fare seems to suggest that there's nothing like murder. As a New York Times story recently noted of true-crime television: "it seems as if this genre has no saturation point." And the trend shows no signs of abating, considering the recent launch of Beyond Reasonable Doubt last Friday, which focused on the story of the Green River Killer, the most prolific serial killer in American history. Debuting this week are Sin City Justice and #Murder.